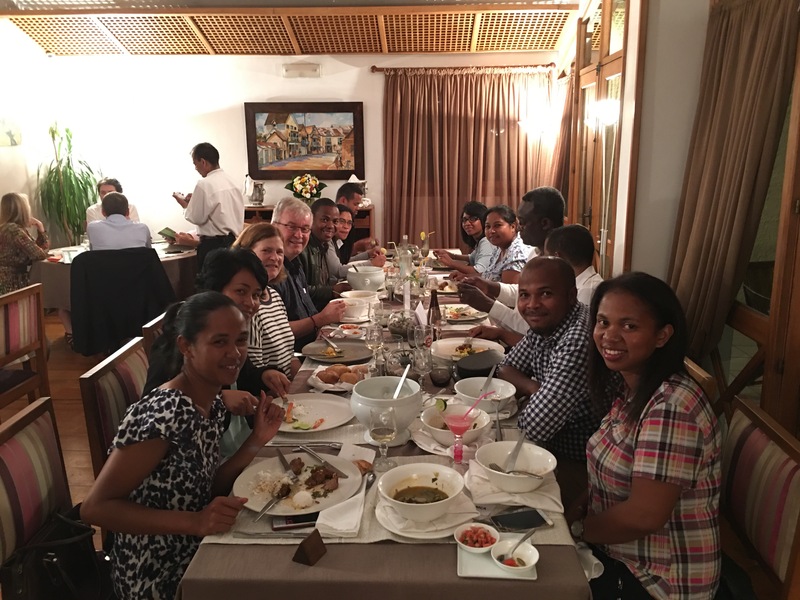 The board and staff of YMCA Madagascar made us feel really warmly welcome in the Capitol Antananarivo tonight. We had the first orientation of the challenges and priorities of the national YMCA. Carlos, Ingunn and I are traveling together. 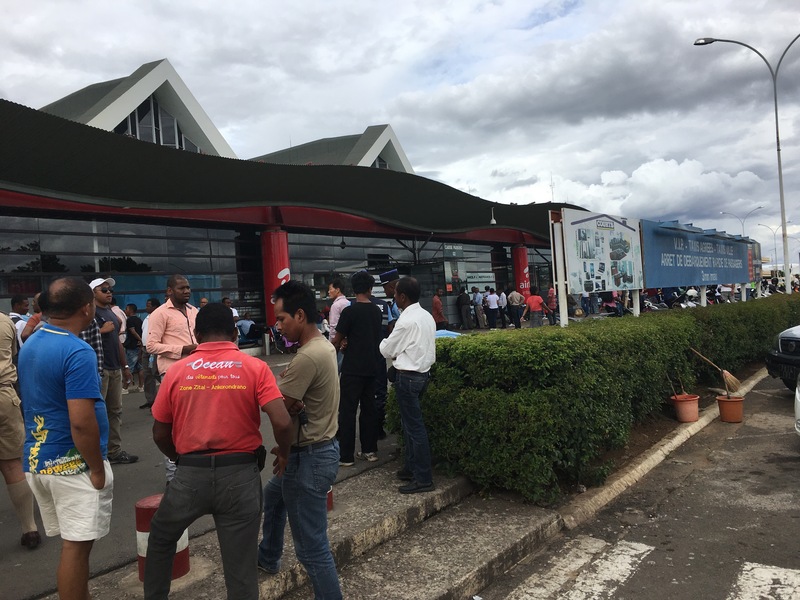 We came back from Moshi in Tanzania to Nairobi, Kenya yesterday, and after one last night in Nairobi we took off with Kenya Airways to Antananarivo this morning. 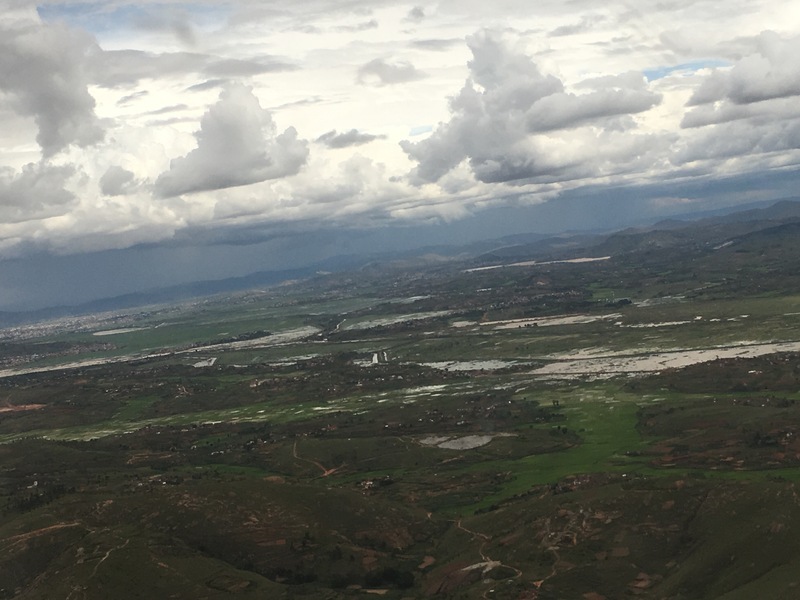 Here Antananarivo from the air. You can see that the landscape is green and fertile. 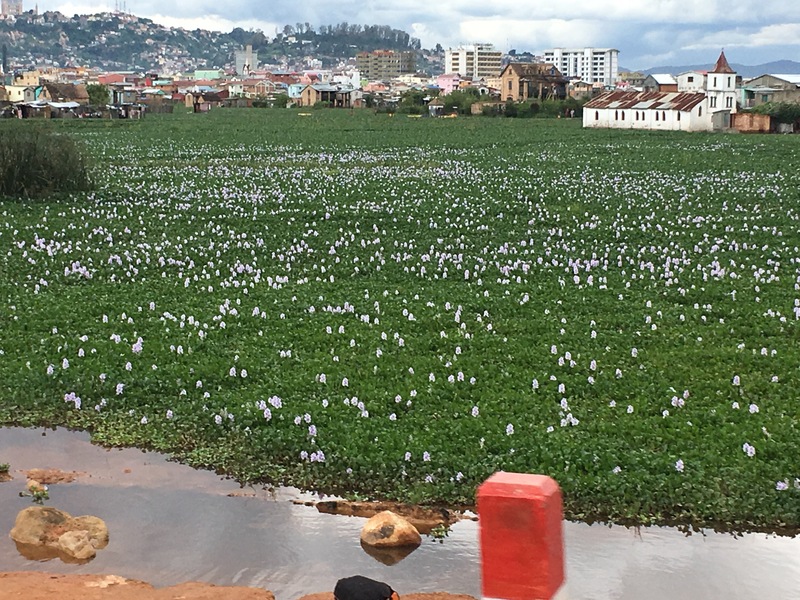 The rainy season has started, but they have waited for rain since October last year. 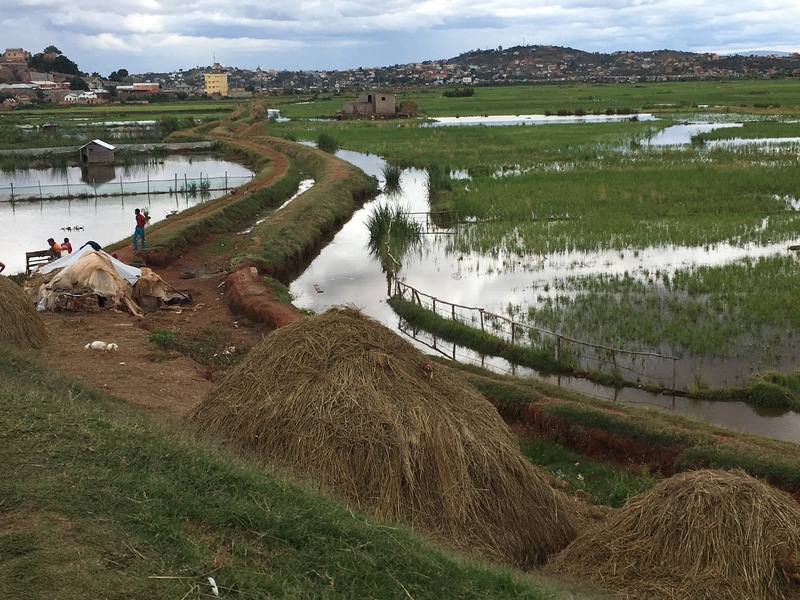 Climate change is hitting hard, and Madagascar may face a food shortage come November this year as a result of the draught and failing crop. Welcome at the airport. Nirina and three of her staff came to pick us up. Nirina iNational General Secretary, and we have just spent time together both at the African as well as the global NGS meetings in Nairobi and Moshi. Nirina is an excellent national leader, and she is also chair of the World Alliance Resourcegroup for Employment. 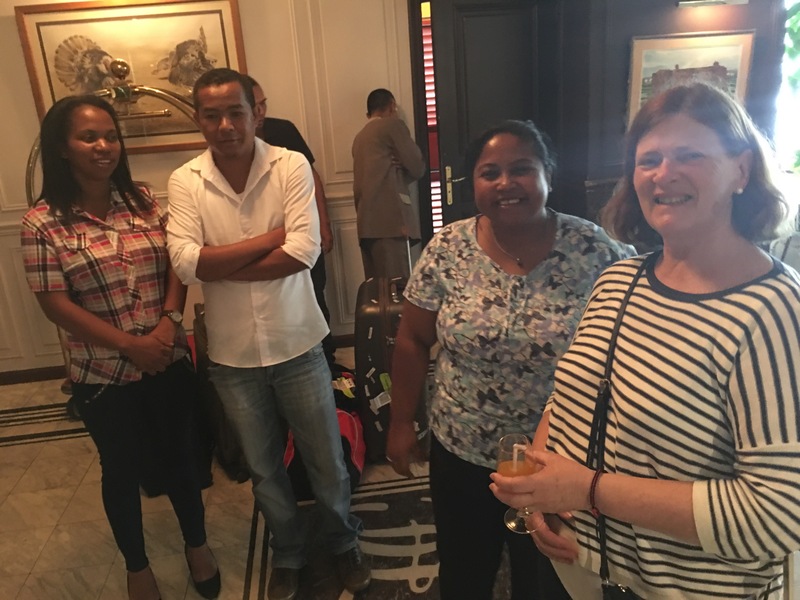 It is therefore very interesting to visit Madagascar to learn from the important work the YMCA here is offering to young unemployed. Rice fields on the way to downtown. Tomorrow morning we are having a very official breakfast meeting where the Minister for Employment and Vocational Training will come and meet with us. Together with the Minister leading personalities from the national ILO office and key representative from corporate business will be present to discuss Youth Employment. Media will be there as well. What a great opportunity to put a key youth issue on the agenda! PR and Communication staff, Finance staff and Nirina welcoming us. Our excellent driver for the week, So. 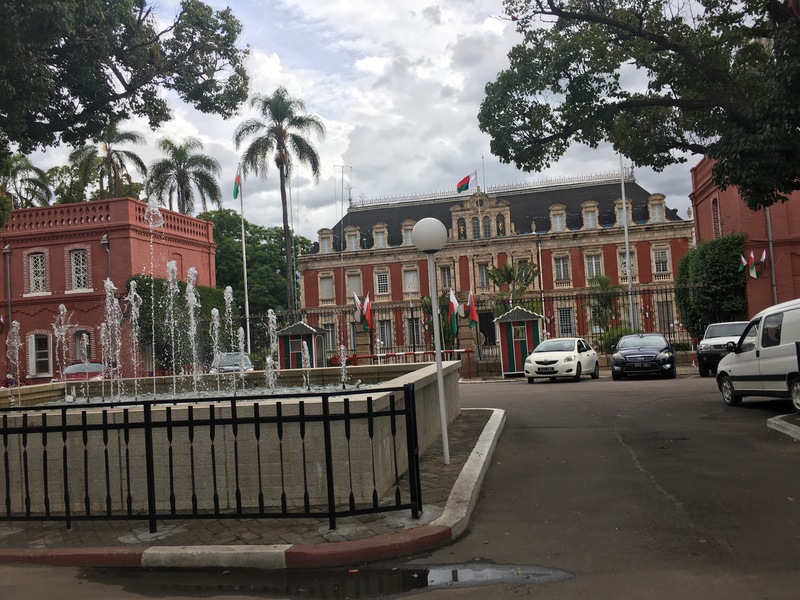 The palace of the President is in the neighborhood and most of the government offices are concentrated here, together with a number of embassies. We are at least planning to visit the Norwegian Ambassador here. Madagascar is a former French Colony and therefore a surplus of French cars are available. Our first car, the car of our youth, was a Renault 4 with umbrella gear and sun roof. For Ingunn and me all the taxi Renault 4s here is an amazing return to a romantic youth. 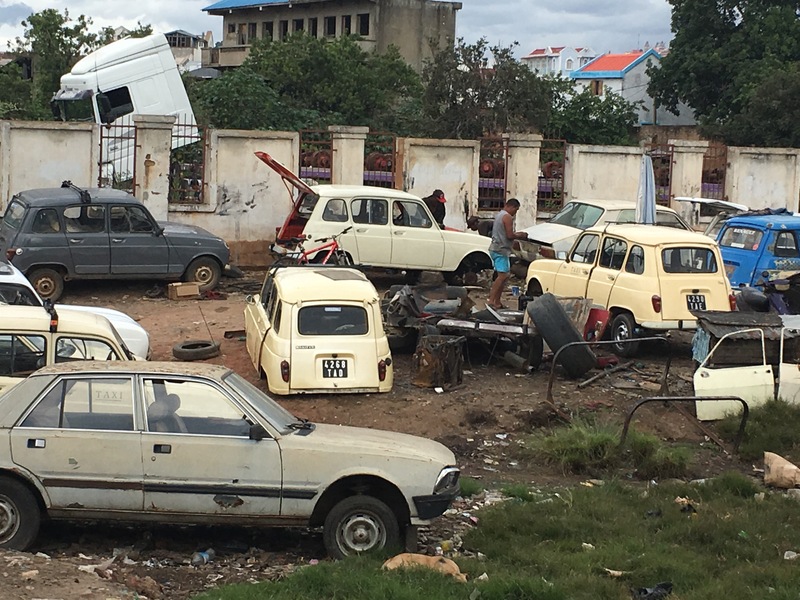 Unfortunately there is a cemetery for Renault 4s as well…. 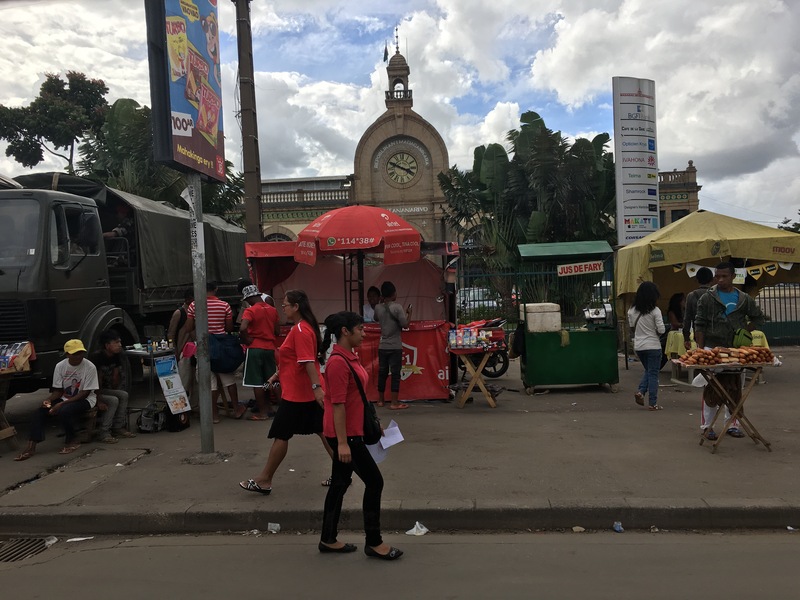 Busy life in front of the railroad station. Madagascar has a unique fauna and flora and a high number of species only available on this magnificent island – the third largest in the world. We cannot wait to explore more of the YMCA, the society, the culture and the nature. We are happy to be here. 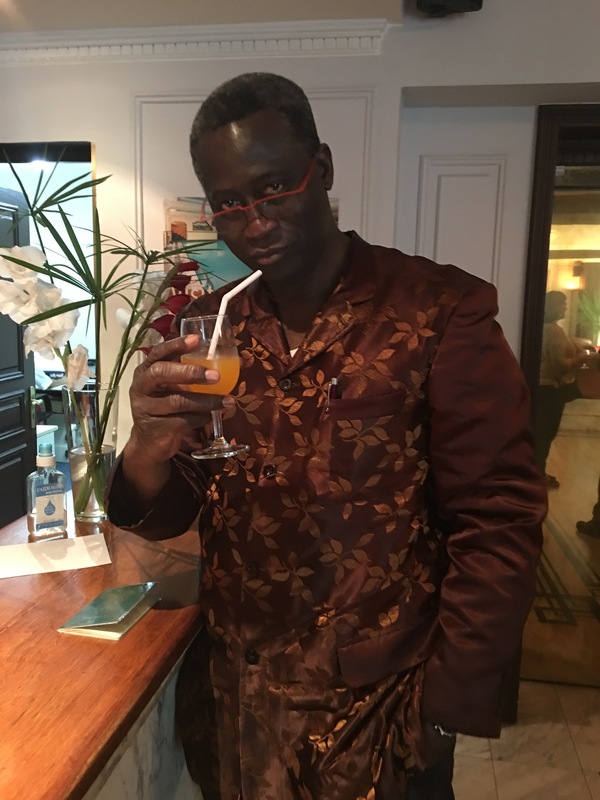 According to local knowledge I am also the first Secretary General of the World YMCA to visit, so that makes it also special. 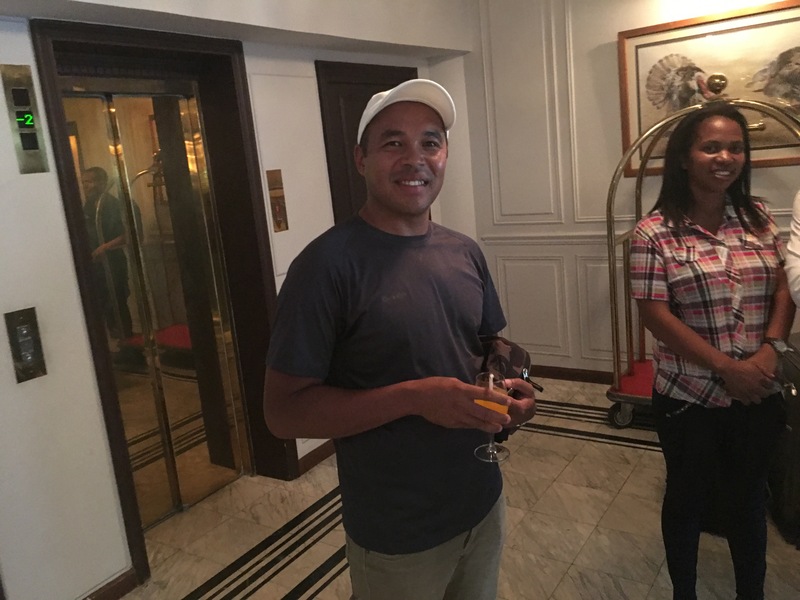 Very interesting, congratulations on this visit to Madagascar! A fascinating, beautiful island nation. Pls give my regards to our YMCA colleagues there.